Why Get Your Tree Stump Removed? To the unsuspecting homeowner, the process of removing an unsightly tree stump from the yard looks deceptively easy. A few whacks with the axe, or perhaps a little fire or chemicals to hasten the destruction, and problem solved. Aside from the inherent danger involved, these half-hearted attempts usually have little effect on the core of the stump, and sometimes just make things worse. 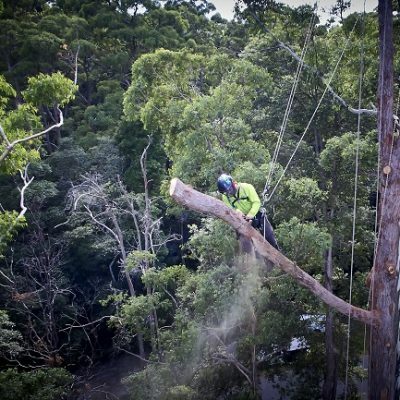 In frustration, the distraught DIYer might even question why bother with trying to get rid of the stump at all! * Stumps can be a hazard to both kids and adults alike. Kids invariably like to run around in the open yard, and stumps could cause a painful collision, especially in low-light situations. Adults might accidentally hit one with the car or lawnmower, causing expensive damage. 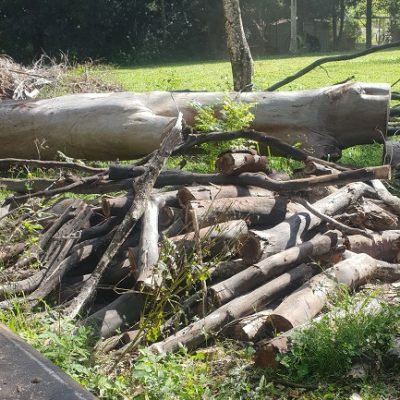 * Even if personally you don’t think so, old stumps have a way of detracting from your yard’s overall looks, and your home’s curb appeal will be negatively effected as well. Doing something creative with the stump, like turning it into a planter sometimes helps, but these projects tend to be just temporary fixes that postpone the inevitable removal. * Stumps are a real hassle to mow and weed around, and over time will present unwanted depressions and holes in the lawn when the root structure starts to decay. * Old stumps will sometimes act as starters for new tree growth. These saplings tend to be very tenacious, with strong roots that intermingle with old stump’s remnants. They can pose a real vexing challenge for the average homeowner. * Stumps left alone will eventually become a haven for insects. Most of these bugs will do no harm, but because termites are usually chief among them, plan on immediately getting rid of any stump that is close to your house or outbuildings. Is D.I.Y. Stump Removal The Best Option? 1. Natural/Chemical Decomposition You could wait for nature to eventually rot the stump, but depending on which type of tree is involved, this could take years. Chemicals such as potassium nitrate and rock salt will hasten the process, but will also create a dead zone around the stump area unless the contaminated soil is removed. One possible exception to this is using epsom salts, which will both kill a stump and it’s roots, while also adding beneficial magnesium and sulfur to the soil, but again, this is a slow process. 2. Excavation If money is no object, this would be the ultimate solution, particularly for large, unwieldy stumps. However, the excavating equipment used to dig out the entire stump and root system tend to be huge, heavy machinery that costs big bucks to put into operation. Also, their size and weight will definitely “leave a mark” on your yard, and makes them useless in small, tight spaces. 3. Burning a stump out is very tempting, but unless you have lots of time and patience, this method is not recommended. The main reason for this is the wood inside a stump is usually quite moist, and it would take repeated exposure of the unburned wood to more fire sessions to finally dry it out to the point where it properly burns. 4. 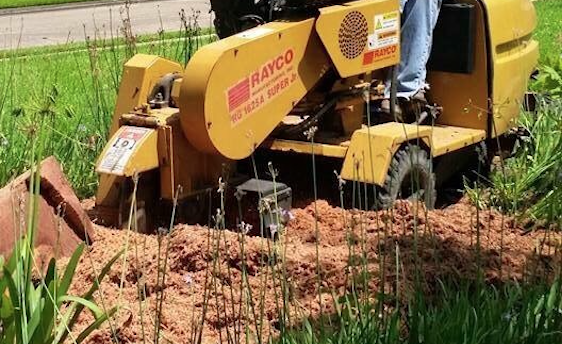 Power stump grinding is the quickest and least expensive way to remove a tree stump. In the hands of a professional, an average-sized stump can typically be reduced to a pile of wood chips in a matter of minutes. 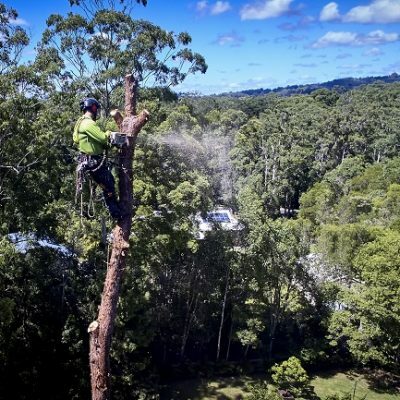 If, by now you are properly convinced that stump removal is best left to the experts, please give Arborclimb a call for a free price quote on your particular job. 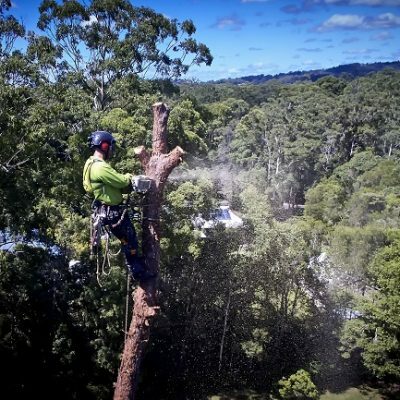 They are the stump grinding specialists of the sunshine coast, and will have your yard looking nice and smooth in no time!